Thatcham Research, the independent automotive research centre, has recognised the cars at the vanguard in safety, helping drivers to identify the life and money-saving tech they should demand as standard when buying a new car. The What Car? Safety Award aims to increase awareness of the safest new cars available in 2017 and, in a defining moment for safety campaigners, all ten finalists were praised for featuring Pedestrian Autonomous Emergency Braking (AEB) as standard. Pedestrian AEB was only introduced for Euro NCAP testing from June 2016, with the aim of reducing the 400 pedestrian deaths which occur on British roads every year. Thatcham Research, in partnership with What Car?, have named the Toyota Prius the safest car of 2017. Winning this year’s top What Car? Safety Award, Toyota was praised for its unceasing commitment to safety, with many advanced driver assistance systems fitted to the Prius as standard. 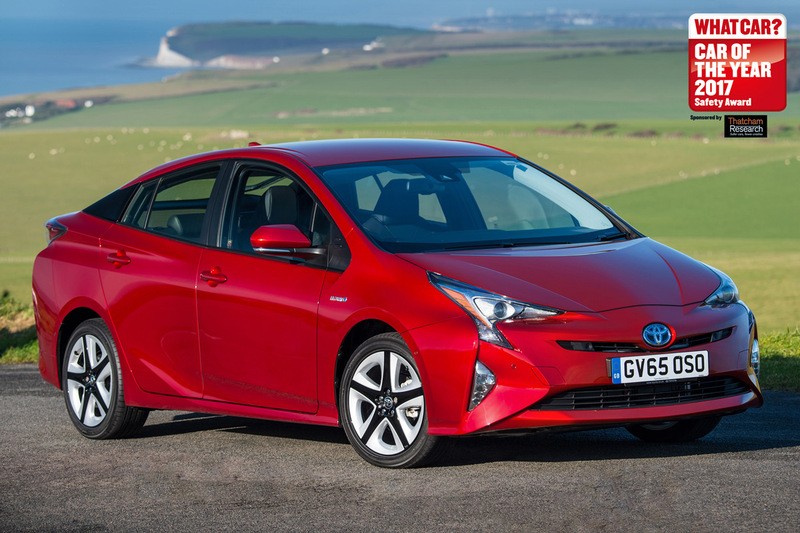 The Prius scored highly in all areas of testing, impressing the judges with its class-leading Reverse AEB system in particular. Pedestrian AEB, Road Sign Assist, Lane Support and Head-Up Display are also fitted as standard across all variants. To AEB or not to AEB? Testing for Pedestrian AEB systems was introduced in 2016 as the latest Euro NCAP Five-Star award requirement, with vehicles checked to see how well they autonomously detect and prevent collisions with pedestrians. All ten cars judged for the What Car? Safety Award 2017 feature Pedestrian AEB as standard, a huge step forward in vehicle safety technology and a monumental achievement for road safety campaigners. Thatcham Research estimates that AEB systems have the potential to save 1,100 lives and prevent more than 120,000 injuries over the next ten years. Reverse AEB detects potential obstacles in the path of a reversing vehicle and automatically applies the brakes to slow or stop, thus avoiding a crash. Studies show that parking damage accounts for up to 25 per cent of all insurance claims in the UK and 75 per cent of these are for damage caused while reversing. The small SUV segment is the fastest growing in the UK car market, surging by 22 per cent since 2015. 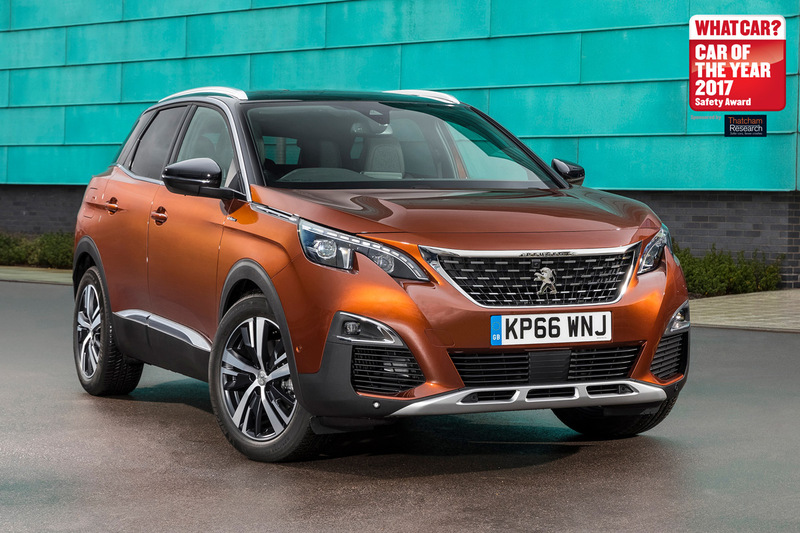 Highly commended vehicles, the VW Tiguan and the Peugeot 3008, offer high levels of both passive and active safety, each scoring well for occupant protection. This is fundamental to buyers of these type of vehicles, due to their popularity as family cars. The VW Tiguan and Peugeot 3008 both have IsoFix mounts as standard in the rear to enable safe and swift child seat integration. 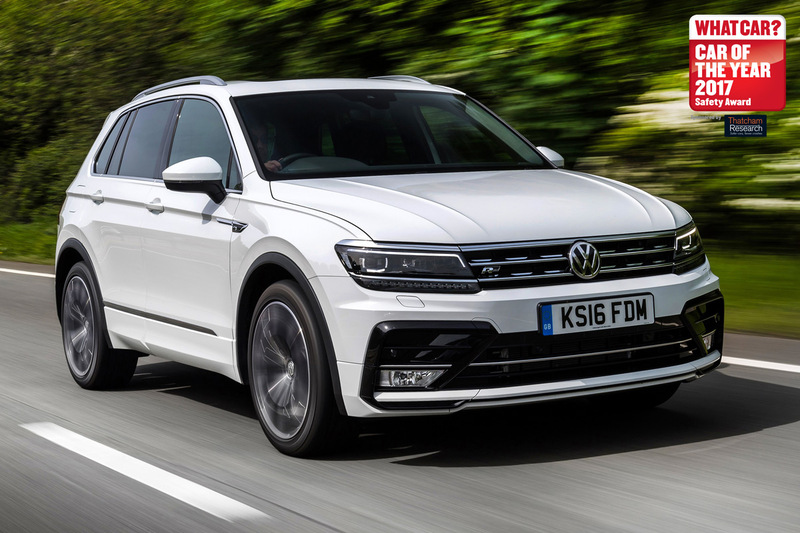 In addition, the Tiguan enjoys excellent adult protection scores and further standard fit safety tech such as Head-Up Display and a Lane Support System, to help drivers keep their focus and keep their lane. As the What Car? Safety Award shines a light onto emerging life and money-saving technologies, Thatcham Research is urging buyers to always opt for a Five-Star Euro NCAP rated car and to look to safety packs to enhance protection, preventing drivers from becoming one of the 1,700 people killed every year on UK roads.